Pokemon, also known as Pocket Monster in Japan, seeks to acquire a decent chunk of the total viewership for cartoons. They intend to be known worldwide. 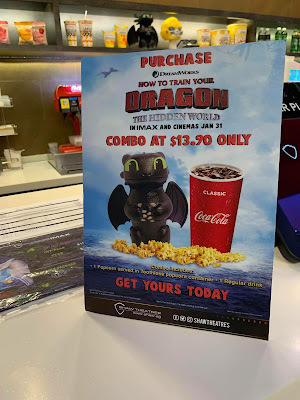 Even if the brand is widely known, movie marketers are not too complacent and they all know that they could still improve the show's marketing. 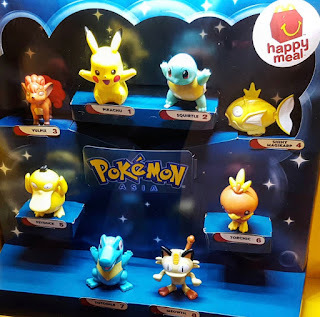 Therefore, they tapped McDonald's for a partnership in which the fast-food giant would release Pokemon custom toys in their happy meal. Why Do We Love Spiderman's Promotional Toys? Customisable - Pokemon did a really good job at customisation as they've created toys out of their characters. And these toys are of high-quality and accuracy. It's really good and everyone loves it. Their toys do not look cheap and as it's made from quality materials. Creative - The concept is exceptional. The marketers behind Pokemon know that their target market are kids and kids at heart. 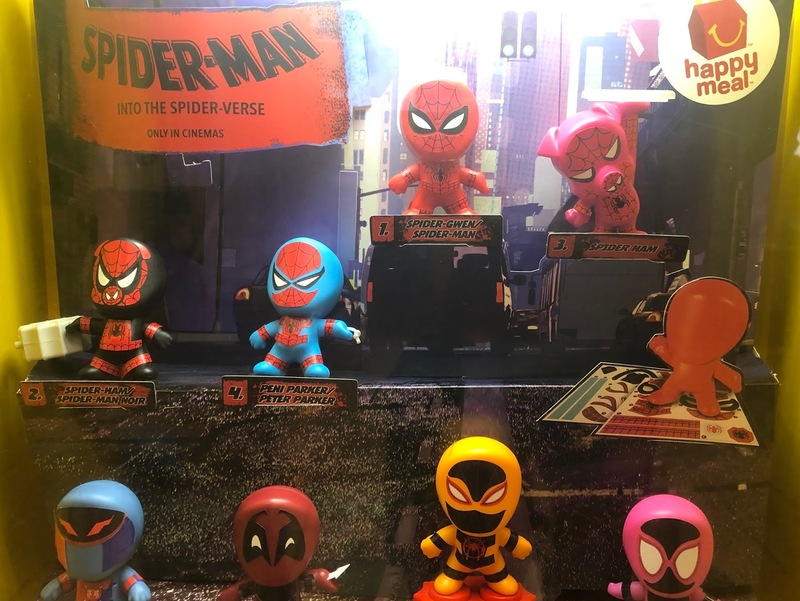 Hence, they've partnered up with McDonald's and offered their custom toys as a promo gift for McDonald's Happy Meal. Variety - Lastly, Pokemon and Mcdonald's offer a variety of toys. It's not just a simple marketing gift but a collectible promo. This is really beneficial because this encourages customers to eat at Mcdonalds to complete the set. And at the same time, Pokemon gets the attention they need. Overall, this collaboration between these giant brands is perfect. Both brands are being promoted and benefit from this partnership. If you're interested to know more, please don't hesitate to contact us. Our product designers will help you market your movies. PJ Masks cartoon is taking over the entertainment scene like a storm. A lot of kids watch the show, talk about the show, etc. We are pretty sure that Cartoon Network is raking some serious cash from this hit show. But with all the success, the brands still keeps on working on their marketing campaigns. 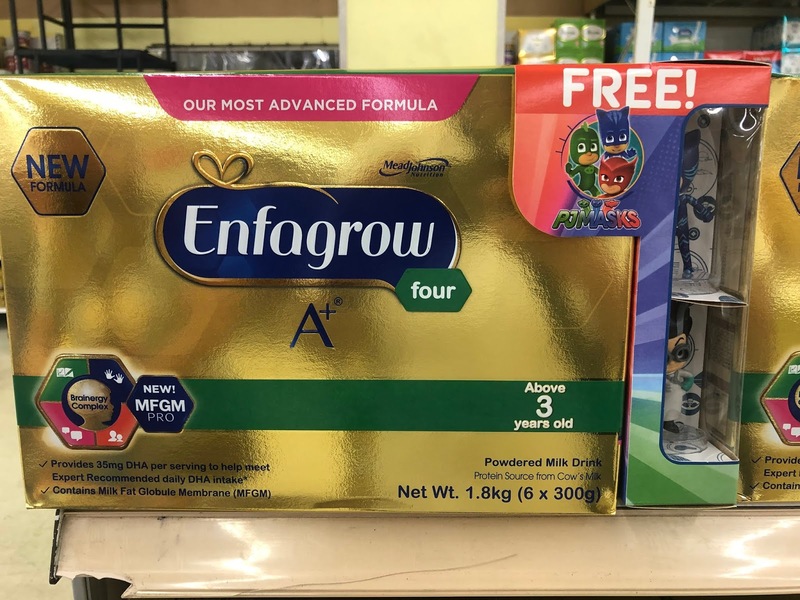 Recently, our team spotted an amazing collaboration between PJ Masks and Enfagrow. 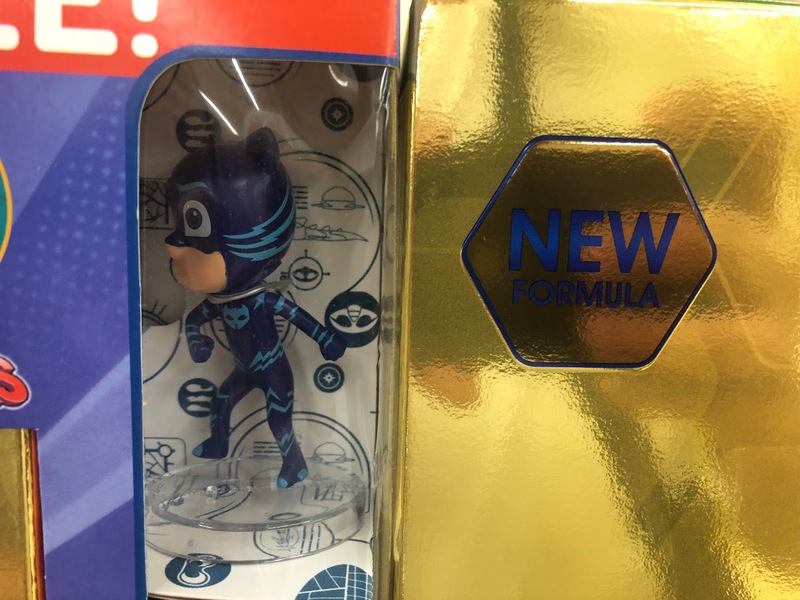 The marketing team for PJ Masks offers promo toys as an in-pack promo to their customers. These toys are a fun promo gift that can be used as an on-pack promo which targets their preferred audience - children. Available in different PJ Masks famous characters, these toys will surely keep your children entertained. The toys are made from non-toxic material which is safe for kids. Why are these promo toys make good on pack promo items? Raise Brand Awareness and Increase Brand Sales - Promotional toys are an excellent way to get your brand out to the public. Through these marketing giveaways, PJ Masks will have more exposure and at the same time, Enfagrow would attract more customers. If this item interests you, please contact ODM. We will help you design and source custom promotional giveaways for your brand. Speak with our team for an effective product and brand packaging design. Movie marketing has never been so competitive. Every movie promoter just wants to have an edge over the rest. It might sound a little tense but it's a healthy and positive competition. Everyone just keeps on improving til they hit the spot. 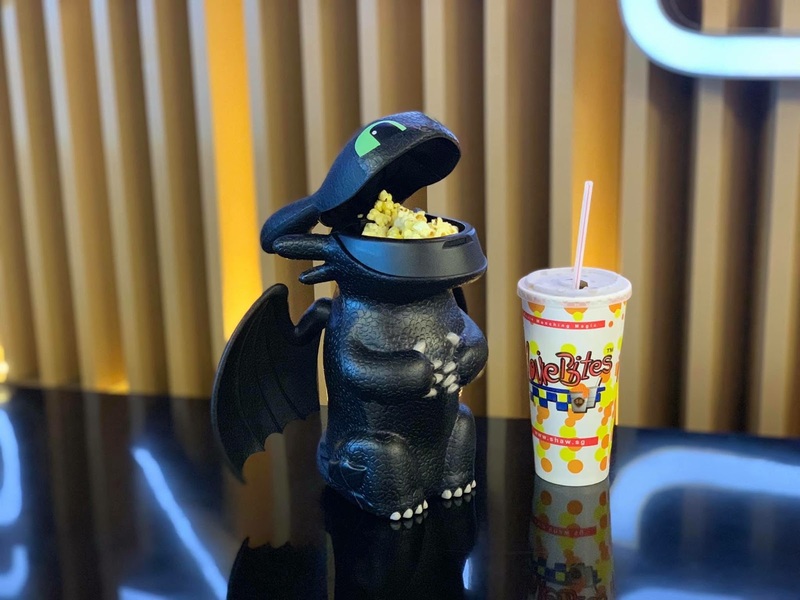 Now, we're going to list the top 3 promotional gifts for movie marketing. First on our list is the custom-made sandwich box from Lady's choice. This promo gift is a collaboration between Lady's choice and Captain America. It is made from durable, non-toxic material so you are sure that your kids enjoy eating their sandwiches from their Captain America lunch box safely. We are all aware that the Spiderman Movie installment is always a box-office hit. But, the movie marketers are not too complacent and they all know that they could even improve the movie's marketing. This time, the team collaborates with one of the worlds fast food giant - McDonalds. The brand offers spiderman promotional action figures. Despicable Me and The Secret Life of Pets are two of the most popular movies for kids today. These movies offer exclusive marketing gifts that promote their movies across wide demographics. 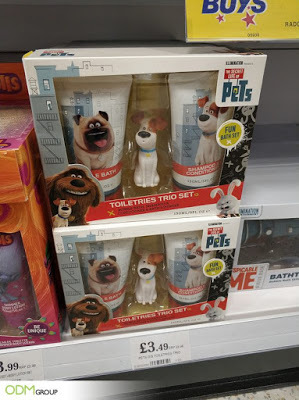 Just recently, they released their own line of toiletries complete with eye-catching custom retail packaging. The Despicable me pack includes one bath gel, one shampoo-conditioner, and a bath sponge. Whilst the Secret Life of Pets gift set includes one liquid bath soap, one shampoo-conditioner, and a free promotional figurine. Overall, we love how movie marketing is growing rapidly. It just means that the industry in progressive and effective at the same time. So, if you would like to create your own set of effective marketing and promotional items, feel free to contact us anytime. Our team is always ready to answer all your queries. We are all aware that the Spiderman Movie installment is always a box-office hit. But, the movie marketers are not too complacent and they all know that they could even improve the movie's marketing. This time, the team collaborates with one of the worlds fast food giant - McDonalds. They offer customers promotional toys. Customers dine in Mcdonalds, then gets to choose between the Spiderman promotional toys. It's a pretty simple gift with purchase campaign but it sure is effective. 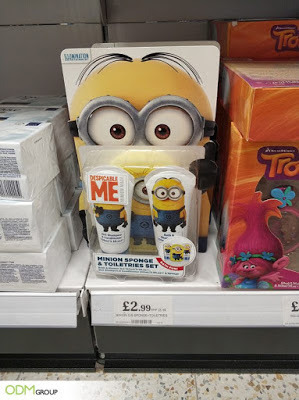 What do we think of Promotional Toys? Giving out custom toys is a good way to get a positive response for your company. Everyone loves to have fun! In Spiderman's case, when they receive the Spidey toys, they'll be more excited to watch the movie. Also, this collaboration between McDonald's and Spiderman is a sure win move for both brands. They'll both reap positive effects for their respective brands. Creative - The concept is exceptional. The marketers behind Spiderman know that their target market are kids and kids at heart. Hence, they've partnered up with McDonald's and offered their custom toys as freebies for McDonald's Happy Meal. Customisable - Well, Spiderman did really good at customisation as they've created toys out of their characters. It's really good and everyone loves it. Their toys do not look cheap as it's made from quality materials. Variety - Lastly, Spiderman and Mcdonald's offer a variety of toys. It's not just a simple freebie but a collectible promo. This is really beneficial because this encourages customers to dine more in Mcdonalds to complete the set. And at the same time, Spiderman gets the attention they needed. Overall, this collaboration between these giant brands is perfect. Spiderman isn't just promoting their movie they're also helping McDonalds get more customers. It's a good partnership. Lego Batman The Movie informs movie fanatics of their newest movie installment through this incredible custom standee. The marketing team of the movie strategically placed these standees at various cinemas across Asia. Well, what makes this promotional item more interesting is its structure. Incredibly, this standee is actually interactive. The team behind the movie's marketing assures everyone that this isn't just your typical movie marketing. 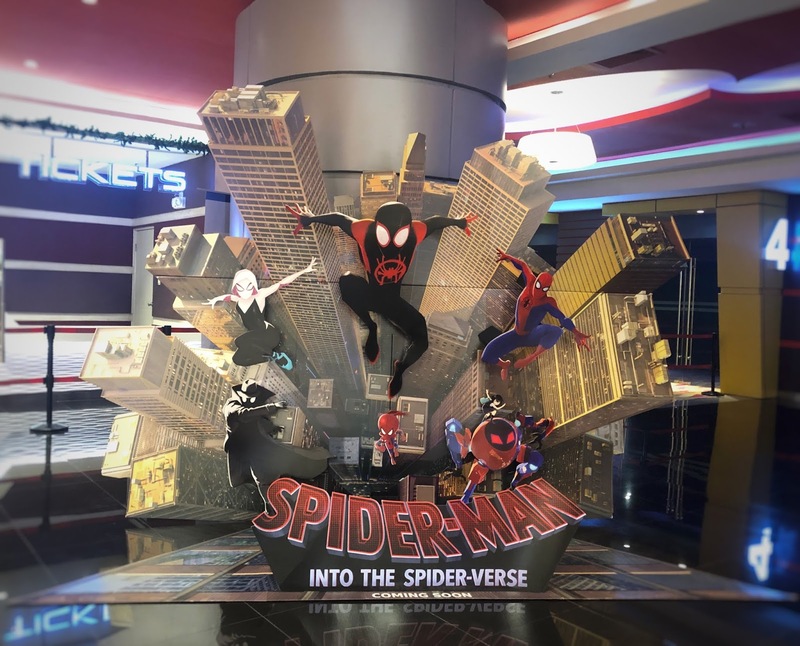 Instead of the traditional 2D retail display standee, they've created something that is interactive. 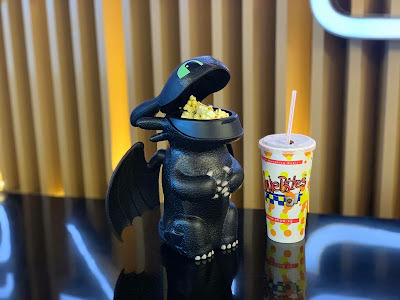 Movie-goers may revolve the standee and match the head, body, and legs of the characters. They can even go wild and match it the body of another character. This creates a totally new character! 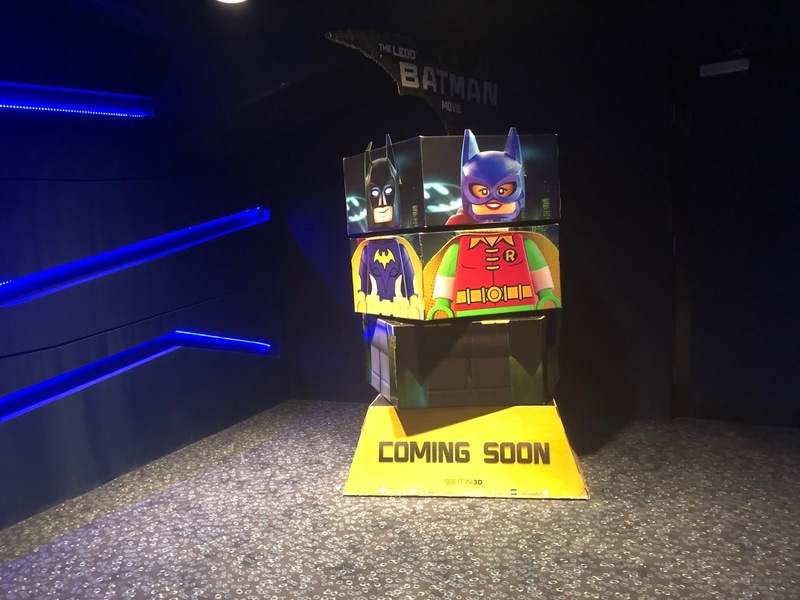 Why do we think this custom standee from Lego Batman is amazing? Creative and Fun - Admittedly, I had so much fun revolving the standee. It successfully got everyone's attention and it made us spent several minutes interacting with it. Therefore, we highly recommend this custom standee as it is really effective when it comes to catching everyone attention. Customisable - Obviously, standees are highly customisable. This is the reason why a lot of movie marketing teams utilise this kind of promotion. It's easy, promising, and effective. Full Branding - We love how the team brands these custom cardboard standups at every angle. Printing the major characters on the standee helps a lot with the promotion. As a result, customers immediately recognise the movie even from afar. Overall, we adore this creative promotional campaign from The Lego Barman The Movie. It brings excitement to every movie fanatic. This type of standee leaves a good impression with everyone. If you would like to create your first-ever standee, feel free to contact us. Also, our team of experts is always ready to answer all your manufacturing and marketing queries.